Even men and women on a diet can still enjoy their favorite restaurants. Dining out at a restaurant is a treat for many people, while for others it's a way of life. On-the-go professionals often find that dining out is simply more convenient than cooking at home. However, large portion sizes and dishes that tend to contain a lot of sodium and fat can make dining out less healthy than eating at home, which is a concern for those men and women who want to shed a few pounds. 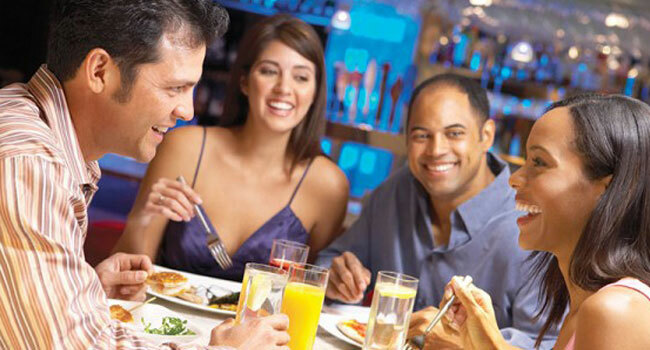 But dining out does not have to be done at the expense of your waistline. The following are a few ways dieters can still enjoy their favorite restaurants without having to worry about their weight. * Order foods that are broiled, boiled or roasted. Foods that are broiled, boiled or roasted tend to be healthier than foods cooked in other ways. When ordering your meal, ask that oils be used sparingly if not removed completely. When foods look somewhat greasy, dab them with a napkin in the same manner you might dab the grease from a slice of pizza. * Don't fill up before your meal arrives. Once you have been seated, skip the unending bread basket, forgoing this free appetizer altogether or asking for raw vegetables instead. When fellow diners order potentially fattening appetizers, ask to have a side salad with low-fat dressing on the side instead. * Leave a little behind on your plate. Restaurant portions can be substantial, so don't feel as if you need to finish your entire meal. You can always ask the waiter to pack up what you have left behind, or, when ordering, ask if the restaurant offers smaller portions at lower prices. * Skip the dips and dressings. Many condiments can add unwanted calories to a meal, making even a healthy entree a calorie-laden meal that's best avoided. For example, a salad covered in creamy Caesar salad dressing can take away from the overall nutritive value of the salad. Don't be afraid to ask for substitutions or simply ask to have dressings put on the side so if you must indulge you can do so without going overboard. * Eat in the hours leading up to your dinner. Low-fat snacks eaten throughout the day will reduce the likelihood that you will overeat at the dinner table. Drink a tall glass of water and enjoy some low-calorie fruit so you won't be famished once you arrive at the restaurant. * Avoid buffet-style restaurants. Many people cannot help but overeat at buffet-style restaurants, where the size of a typical spread can make it hard for dieters to stay disciplined. 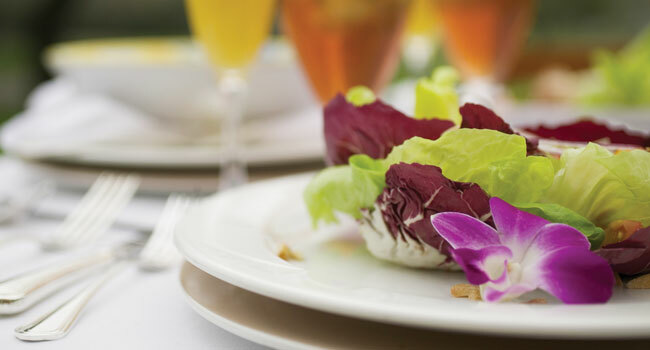 If you must eat at a buffet-style restaurant, choose healthy fare like salad and steamed vegetables. * Look for a low-calorie menu. Many restaurants now supplement their existing menus with a menu of low-calorie fare for those customers who want to eat out but want to do so without abandoning their diets. When visiting a restaurant, stick to ordering from the low-calorie section of the menu. The food will likely be just as delicious, though not as dense or as large.